Like so many other things, even nature has its undesirables. One of the things we commonly dread is weeds, even though in some cases, they do also serve many purposes. 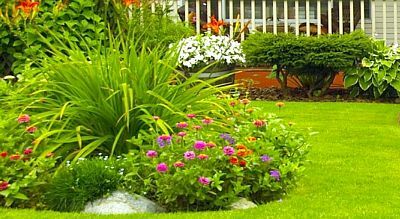 However, by and large, when it comes to lawn care they are considered to be unwanted because all too often they exist in the wrong place and at the wrong time. Those pesky uncontrollable plants have a way of showing up in your perfectly designed lawns, gardens, park grounds, fields, etc. 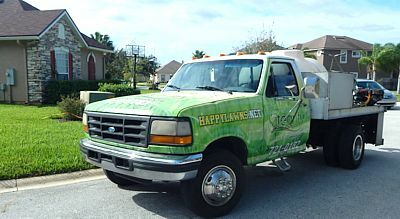 The natural look of your landscape can be easily ruined by a weed invasion. Weeds can threaten the very existence of many plants by fighting the plants for space, sunlight, nutrients, and they can often be potentially harmful to animals as well. Keeping weeds under control is necessary for the continued survival of your plants and upkeep of your landscaping. 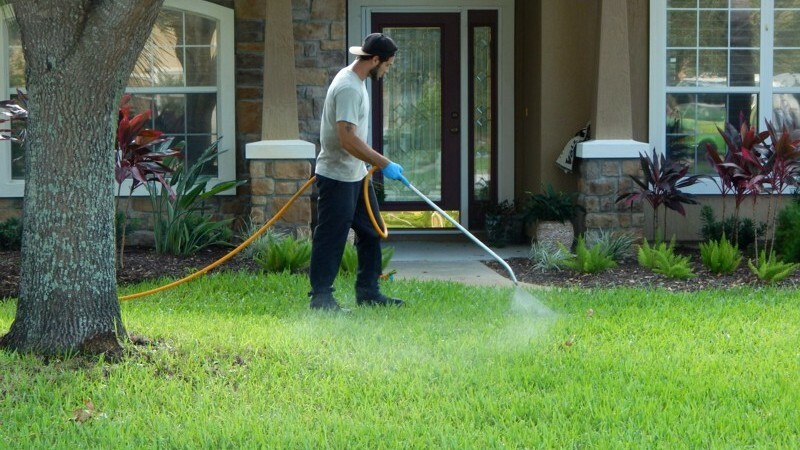 Here at Integrity Lawn & Ornamental we offer our Lawn Weed Control Service as a system of managing this undesirable plant growth in your well-manicured lawn areas. By utilizing this specialized program, we have been keeping properties in Jacksonville well-maintained for well over 12 years. 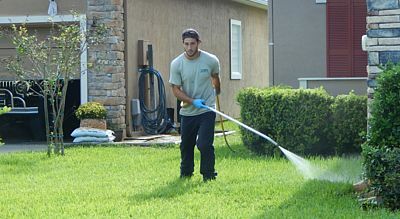 During each of our scheduled lawn treatments, your lawn will be fertilized and monitored to help identify, treat, and prevent potentially damaging problems by weeds. To prevent damage by pests, frequent inspections to identify insects infestations such as chinch bugs, sod webworms and armyworms, mole crickets, spittlebugs and more will help to spot potential problems quickly before further damage can be caused. By removing this plant growth in turf and/or plant bed areas your lawn will be presentable. Some examples of these unwanted weeds might be dollar weed, dandelion, garden spurge, sedge, crabgrass and dichondria. Lawn fungus can be found in several forms. Some are brown patch fungus, dollar spot fungus, rust fungus, and snow mold fungus. As the types differ, so do also the treatment necessary. Brown Patch Fungus - becomes a problem when fungus penetrates the roots of the turfgrass in your lawn. The disease appears as straw-colored circular areas. St. Augustine grass is particularly vulnerable. Proper fertilization and reduced irrigation will help get the disease under control. Dollar Spot Fungus - can start out as small brown or straw-colored spots about the size of silver dollars (commonly seen in the early summer months). This fungus thrives on dry, undernourished lawns. Treatments consisting of infrequent deep watering combined with proper mowing are effective. Rust Fungus - looks just like its name implies. This fungus usually affects just the leaf blades, with the diseased portions of your lawn taking on an unappealing, orange (rusty) color. With proper fertilization, aeration, and seeding to promote new growth we can help improve the look and the health of your lawn. Whatever your specific needs, contacting Integrity Lawn & Ornamental will get you well on your way to a happy, healthy, thriving lawn. Feel free to browse our other blog topics and to browse this site for more ways we can be of assistance to you. Call Integrity Lawn & Ornamental today for a free consultation to help design the perfect personalized program for your lawn care. 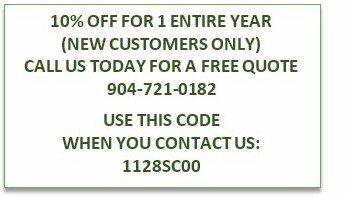 Or, you may simply fill out the quote request form below to get started protecting your home/commercial property today.